Dreams start with a vision – but it is only through determination, care and audacity that they are #MadeReal. In 2009, Bvlgari embarked on a partnership with Save The Children with a bold dream: empower millions of children to build a better future through education. The campaign is a story of connection, giving a voice to those whose lives have been changed because of the initiative. Every purchase has the power to make a difference. Today a sterling silver piece from Bvlgari’s #SaveTheChildren jewelry collection, tomorrow something far more precious: a child who can see his dream of a better future. Visit this page to learn more about Bvlgari and Save The Children’s philanthropic partnership and how your purchase of the custom-designed Save The Children jewel collection, inspired by the iconic B.zero1 line, can help change lives. Campaign video directed and shot by Rankin. Read our EXCLUSIVE interview with Power:On founder Tristan Kochoyan below and learn more about this noble initiative! You are the founder of Power:On, a startup on a mission to bring electricity to the remotest villages in Africa. Could you tell us a little bit about yourself? Ahah not sure how to answer that question, what do you want to know? I’m 30, born and raised in Paris, France… I like to solve difficult problems, do big things, and a lot of people think I am crazy for doing this. However this feels right because I always wanted to work on something that would help other people get a better life. It’s kind of a personal philosophy, I believe in giving back. I even wrote a Manifesto. There are many kinds of philanthropy and a lot of philanthropists who has focused their humanitarian work in Africa and elsewhere have concentrated on solving food, water, shelter, education and healthcare initiatives. What made you choose electricity as your project? When I first came to Benin, I was working in an NGO focused on education and microcredit. This is how I met Louise, I hired her as our employee. I only learnt about the electricity access crisis later, during an internship in a consulting firm in Paris. I felt this was a very big and interesting problem. 1.3 billion people in the world live without electricity. In 2017, this is insane. It’s not just about comfort. Living without electricity has extremely severe consequences, and it’s the root of countless issues that hinder social and economic development. Let’s take a very simple example. When you don’t have electricity, you have to use coal, kerosene lamps, candles to get light. The toxic fumes these fuels emit kill 76,000 people… per WEEK! That’s more than AIDS and malaria combined. This is not just about comfort, it’s life and death. I’m not even talking about the effect on education, poverty, etc. The home page of Power:On’s website is titled “Why Electricity” so you can learn more about that there. I also wrote an editorial to give a broader perspective on this issue. Eva Green has teamed up with Power: On to help bring electricity to the poorest villages in Africa. Over 1.3 billion people around the world do not have access to electricity. In Africa alone, 630 million people do not have access to this essential basic human need. Because of how technology has shaped the world, access to electricity has the power to change everything in one’s everyday life and future. Be one of the changemakers and add your voice and support for change, accessibility and equality. Eva has narrated a special short film documentary directed by Antoine Bretillard which will be shown in advance on Monday 8pm Paris time, for early supporters of this noble initiative. 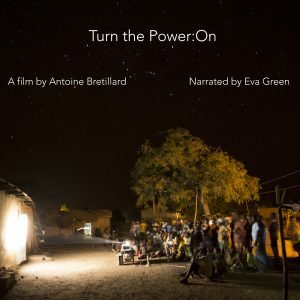 If you wish to watch the short film and be one of the pioneer supporters of Power On, visit en.turnthepoweron.co and register with your email address. 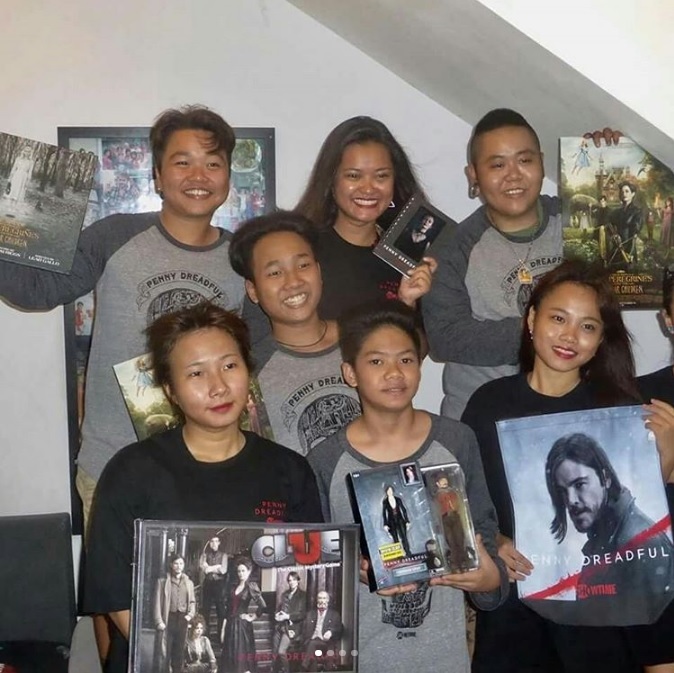 Eva surprised the wonderful kids of @allambieorphanage with goodies from Penny Dreadful and Miss Peregrine’s Home For Peculiar Children ! The kids loved it so much that they posed for photos. Thanks to Miss Suzanne Thi Hien Hook, Allambie Orphanage’s founder, for sharing the photos. The Allambie Orphanage Vietnam, a UK registered charity, was set up in 2010 with the sole purpose to house, support and educate disadvantaged orphaned children within Vietnam. 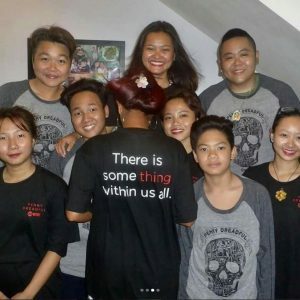 Its founder Suzanne Thi Hien Hook, a mixed raced (African American and Vietnamese) orphan herself, was abandoned by her mother and subsequently spent the first three years of her life in an orphanage in Saigon where she was mistreated not only because of her cultural heritage but also due to her abandonment. In 2009, Suzanne visited an orphanage and connected with a child who was abandoned by her parents at the age of 7 years old. This young girl was in a large institute where she had been physically, sexually, emotionally abused and was denied the opportunity to go to school. The young girl’s dream was to go to school and become a tour guide. Shortly after returning to the UK, Suzanne made a life changing decision and in the span of six months, Suzanne sold all her worldly belongings, including her much loved shoe collection, and jumped on a plane with just a suitcase, laptop, and a vision to open up a safe house filled with love. This house is now known as the Allambie Orphanage. Suzanne rescued the young girl from the poor care conditions she was in. Five years on, this young girl is healthy, happy and will be graduating from tourism management college. She has a family, love, care, support and continues to prosper. With the help of Allambie, she has achieved her dream. 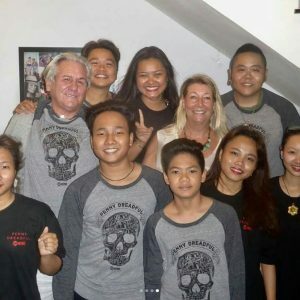 Over the last five years, Suzanne has single handedly built an orphanage that’s supporting and caring for 9 children who continue to prosper and enjoy and achieve in life. Eva has been a great supporter of The Allambie Orphanage for years and if you would like more information on how you could make a difference and help Suzanne continue in making her home a place of love and opportunities, please visit www.allambie.co.uk. 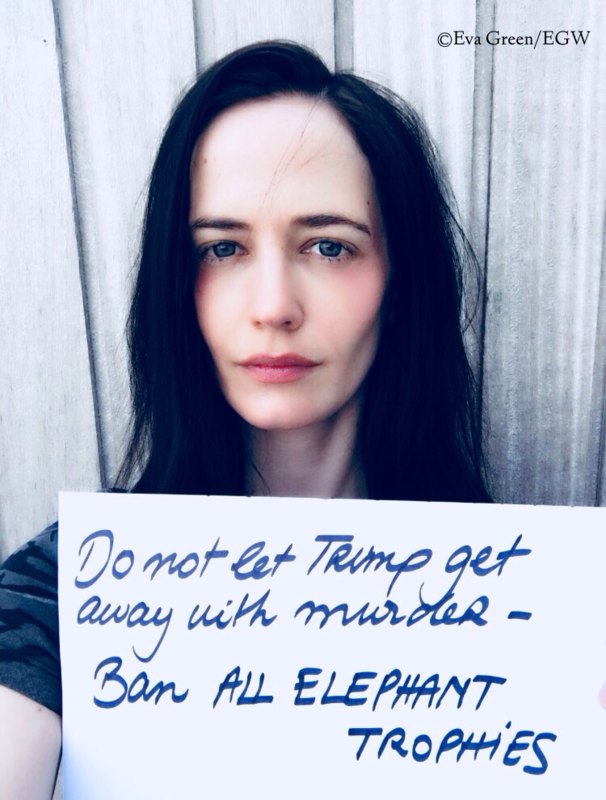 Eva Green, a life long animal lover, environmentalist and supporter of quality education, is officially teaming up with Singita Grumeti Fund as their Global Ambassador to spread awareness on the protection of the environment and to promote responsible natural resource management through education and sustainable living. Eva believes in the role that education plays in securing the future of Mother Earth. Having visited Singita Grumeti Fund’s Environmental Education Center last year, she’s confident on the progressive efforts the Center has been implementing through its various community outreach programs focused on assisting the local population, especially on its integral role of teaching Tanzanian students the importance of safeguarding Earth’s natural resources. To learn more about the programs and accomplishments of SGF’s Environmental Education Center and on how you can donate to support their efforts, visit www.SingitaGrumetiFund.org. Eva would also like to encourage all of you to start within yourself in making the necessary changes to contribute to the protection and conservation of our planet. Together, we can make an impact in making the world a better place. Eva Green is inviting you all to be part of finding a cure for Dylan and other children affected with MSD by spreading the word and donating to help them have a chance at life. Dylan Finglas is a happy, beautiful 4 year old Penny Dreadful family member (Dylan’s father Alan is a Standby Carpenter on the show) whose quality of life has been affected by the clinically devastating rare fatal disease called Multiple Sulfatase Deficiency or MSD. Children with this condition are missing essential enzyme activity for normal cellular functions. Over time, cells in their bodies, including brain cells, clog up and become toxic. This results in devastating effects on the whole body and the central nervous system. MSD leads to years of pain, severe disability and ultimately death – usually before 10 years of age. This condition affects both genders and all races in every country around the world. It is estimated that around 1 in 1000 people carries the recessive gene for this disease. Gene Therapy at The Telethon Institute of Genetics and Medicine in Italy has successfully stopped MSD in lab tests. Funding is critical and urgently needed to push clinical advancements to human stages as soon as possible. There are many research areas that need funding to advance. Every donation counts to save Dylan and all children with MSD around the world. Time is of the essence in order to treat these children before significant symptoms of the condition progress. Your kindness will change lives! For more information on Dylan & MSD and to send a donation, visit www.SavingDylan.com. Follow Dylan’s story on Instagram at @savingdylan. Kindly use the hashtag #SavingDylan when posting on social media platforms. UPDATE: The kindness you’ve shown Dylan and children affected with MSD has been overwhelming that SavingDylan.com went down at one point. But don’t fret, it’s now back online and up and running! Alan, Dylan’s father, informed us that they are beyond grateful to Eva and everyone who has helped them on their cause. Please don’t stop. Continue to spread the awareness on MSD and if you can, donate. Thank you very much to everyone! Hairdressers Against AIDS is a prevention programme launched by L’Oréal Professional Products in partnership with UNESCO. For almost 15 years, Hairdressers Against AIDS have been raising awareness & preventing HIV/AIDS through its network of hairdressers around the world. Going even further this year, the programme contribute to drive donations to support HIV/AIDS research, by capitalizing on its strong and engaged community. Great progresses have been made to turn back the tide of HIV/AIDS. However education & prevention remain more crucial than ever, and research is ESSENTIAL. 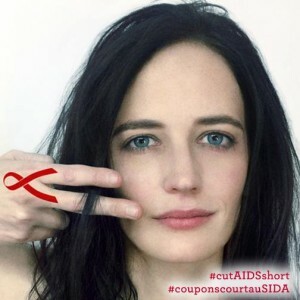 With #cutAIDSshort, you will support Institut Pasteur’s scientists. From the search of a vaccine to the conception of new therapeutic approaches enabling patients to be in complete remission, researchers are mobilized on all fronts.